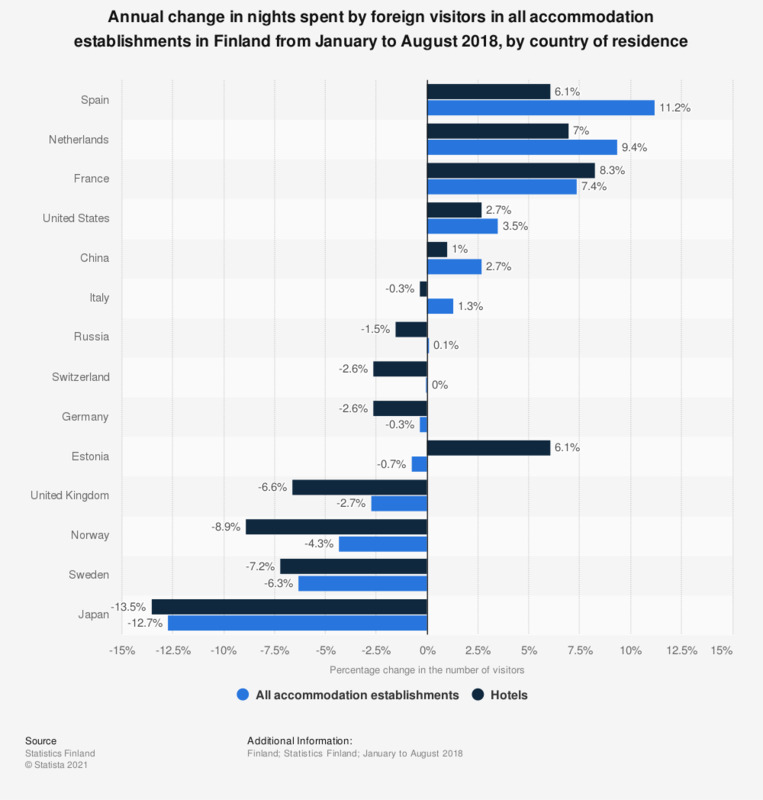 This statistic shows the annual change in the number of nights spent by foreign visitors in all accommodation establishments in Finland from January to August 2018, broken down by country of residence and type of accommodation. During the period under survey, nights spent by Spanish visitors in Finnish accommodation establishments increased by 11.2 percent. Foreign visitors refers to the number of visitors non-residential to Finland.